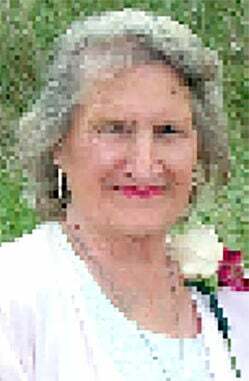 ILWACO — After a long battle with leukemia, Marjorie E. Williams, 83, passed away Friday, Jan. 4, 2019, surrounded by family at Ocean Beach Hospital in Ilwaco, Wash.
She was born April 26, 1935, in Fremont, Neb., to Melvin and Marjorie Ella (Goldbeck) Nelson. Throughout her life, Marjorie was known for her kind spirit, strong work ethic, and willingness to help others. This was evident in her volunteer work and careers, which included serving as a counselor for the American Red Cross, waitress, nursing assistant, proprietor of Through the Looking Glass curiosities shop and, until very recently, an independent process server. On March 12, 1972, Marjorie married James E. Williams. Ten years later they moved to Ocean Park, Wash. She was a Past Madam President of the Fraternal Order of Eagles #200 in Fremont, Neb., as well as a member of #3602 in Ocean Park, Wash., and Women of the Moose #1930. To know Marge was to love her. Her humor, sound advice and kindness were treasured by family and friends alike. Her passing leaves a huge hole in many lives. She is preceded in death by her husband, James E. Williams, her parents; inlaws, Charlie and Grace Harper; siblings, Gleve Nelson, Melvin Nelson Jr., Robert Parkins, Louise Henderling, Mary Alice Leach, and Junior Thornburg. Marjorie is survived by siblings Harlan Nelson Sr., Irene Fields, brother- and sisters-in-law, Garry (JoAnn) Harper of Omaha, Neb., Glenda (Doug) Spilker of Diller, Neb., Doris Thornburg of Wilber, Neb., Kathy (Jim) Estabrook of Cheyenne, Wyo., Marcy Harper of Omaha, Neb. ; children Jim (Brenda) Sorensen of Seattle, Terry (Jean) Sorensen of North Bend, Neb., Allan (Jeanne) Sorensen of Sodaville, Ore., Denise Dredge of Lincoln, Neb., Sheryl (Scott) Schmidt of Beatrice, Neb., Rodney Williams of Lincoln, Neb., Eliese (Marc) Espinosa of Arvada, Colo. Marge had 17 grandchildren, 31 great-grandchildren, and three great-great-grandchildren whom she adored and loved very much, as well as many nieces and nephews. Memorial service was held at the Ocean Park Eagles lodge #3602, Jan. 20, 2019, at 2 p.m. Cremation arrangements are by Ocean View Cremation and Burial Service. A memorial service and interment will be held in Fremont, NE, at a later date. Ocean View Cremation is in charge of arrangements.